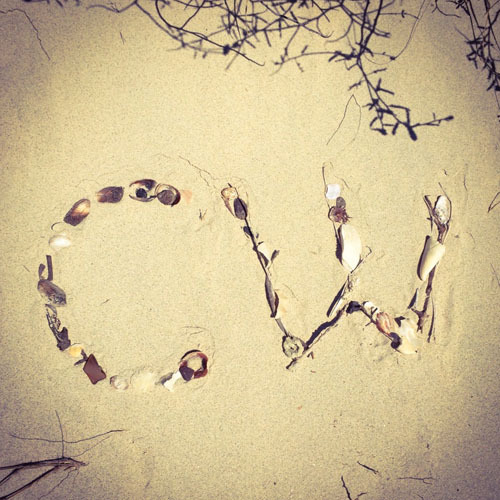 How has your creative summer been so far? Hello from the West Coast of Canada! I hope your summer is shaping up wonderfully! 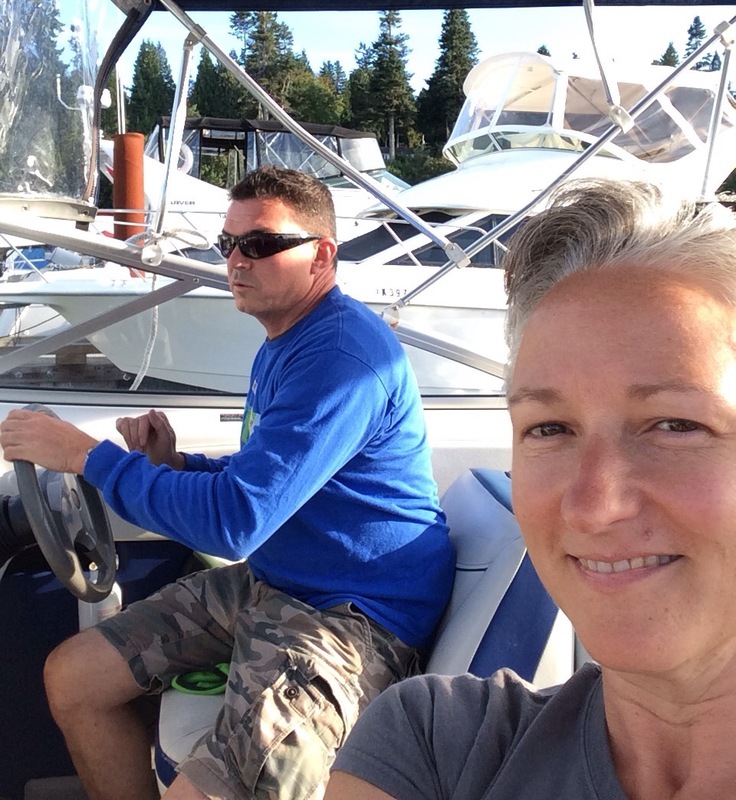 I took this selfie last night aboard our boat anchored in Boundary Bay. My husband and I watched the sunset and hoped to see a few last shooting stars. The city lights were probably a little bright, or we were a day too late but any time on the water is magical. 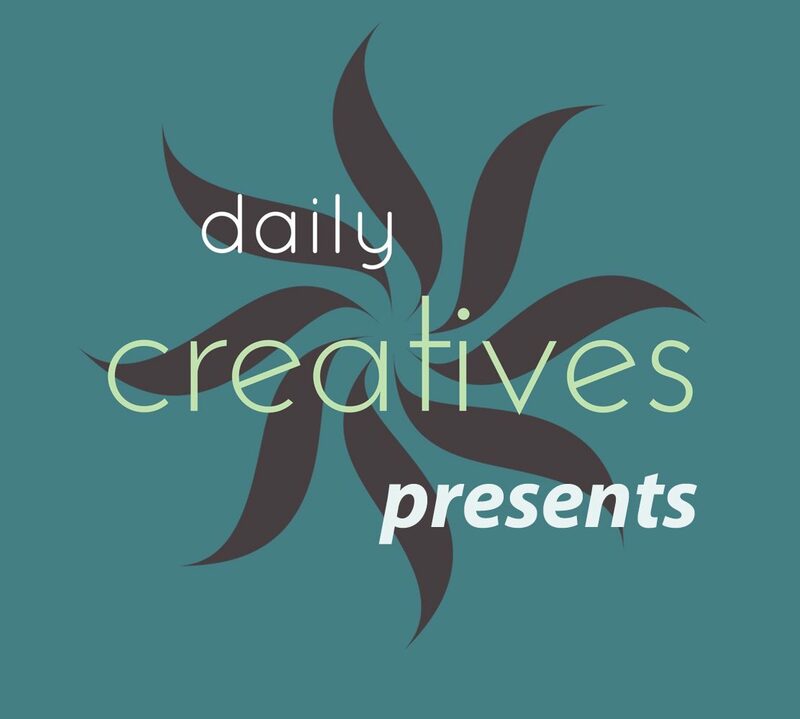 Feel free to share your summer creative stories and adventures, I would love to connect with you – Christine@dailycreatives.com. 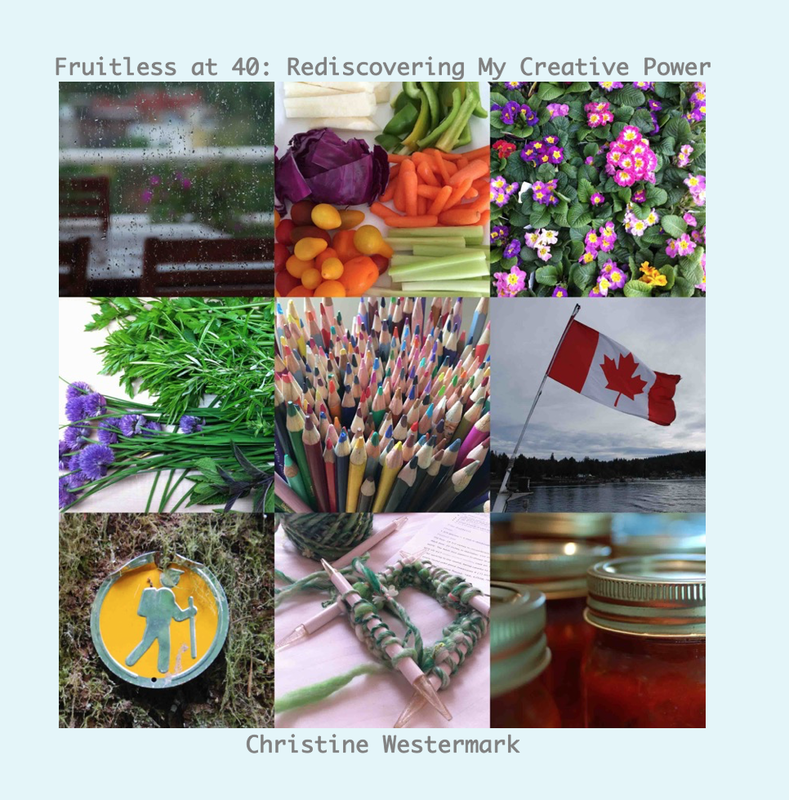 I’ve had a busy July writing an ebook about my creative journey, (so far). In case you have not heard about that yet, please read on to discover some lovely reviews. If you have not my survey yet, add you voice at What does creativity mean to you? 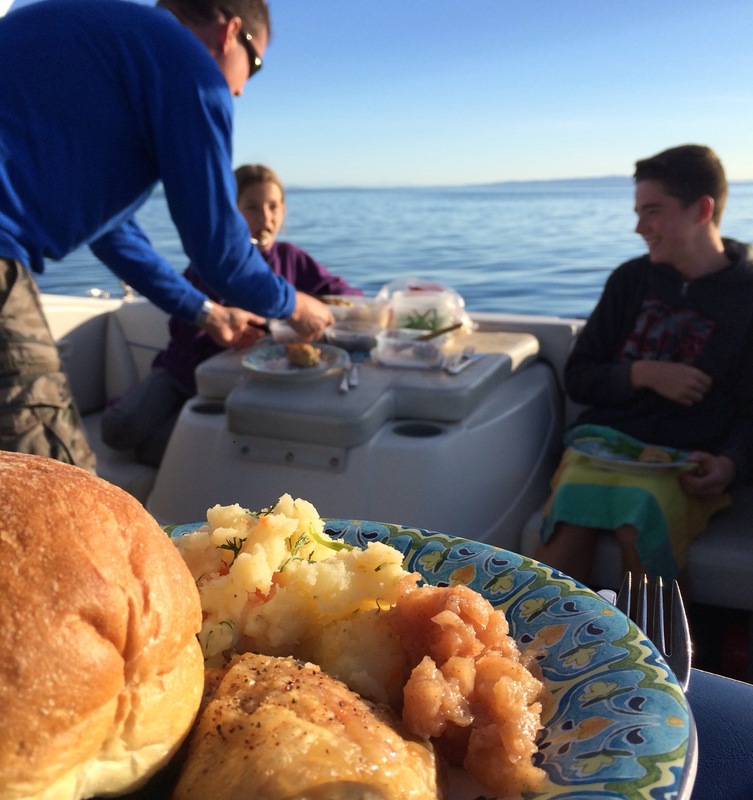 One of the best investments we have made, in regards to family fun has been to keep a boat in the water. Not on a trailer, in our driveway, needing to be launched every time we want to use it. Rather, she is tied to the dock in our local marina, quietly waiting for us, anytime we should want to go for a cruise. For those who don’t own a boat, this will seem a little strange. What does it matter? How big a deal is it to launch? Saves a lot of money to keep the vessel at home in your driveway, which you already pay for. This has been our thought process over the years, with the various different boats we have owned. (We’ve even had the driveway full of boats, no room for cars, but that is another story). The fact is, boats in the driveway do not go for a sunset cruise, on a moments notice. In fact, anything less than a day on the water doesn’t seem worth the effort of the launch or the single use cost of the boat ramp. The marina is only open during certain hours for launching. So, in all the years we have owned boats, we have not taken advantage of these awesome evening sunsets we get. Of course, you can watch the sunset from land. But, you kind of battle for parking and the best spots are not known only to you. Rather, you share that kind of experience with many others. That could be small children who are ready to be at home in bed, rambunctious dogs who see the ocean and need to run, or parents who, at the end of a long day have had enough. We have been there and done that. Now, we race around the house grabbing what little we need to bring on the boat, hoping to catch as much sun as we can. Then we take the short drive down to the sea. Our slip comes with a parking pass, so we are easily a few moments away from the dock. A few minutes more and we are quietly cruising out of the marina. Smiles all around, it is an amazing feeling to feel the wind in your hair, the salty sea air and the last rays of Summer sun on your cheeks. The only downside to having full access to the marina is five-foot-eitiss. This is a disease, of sorts. 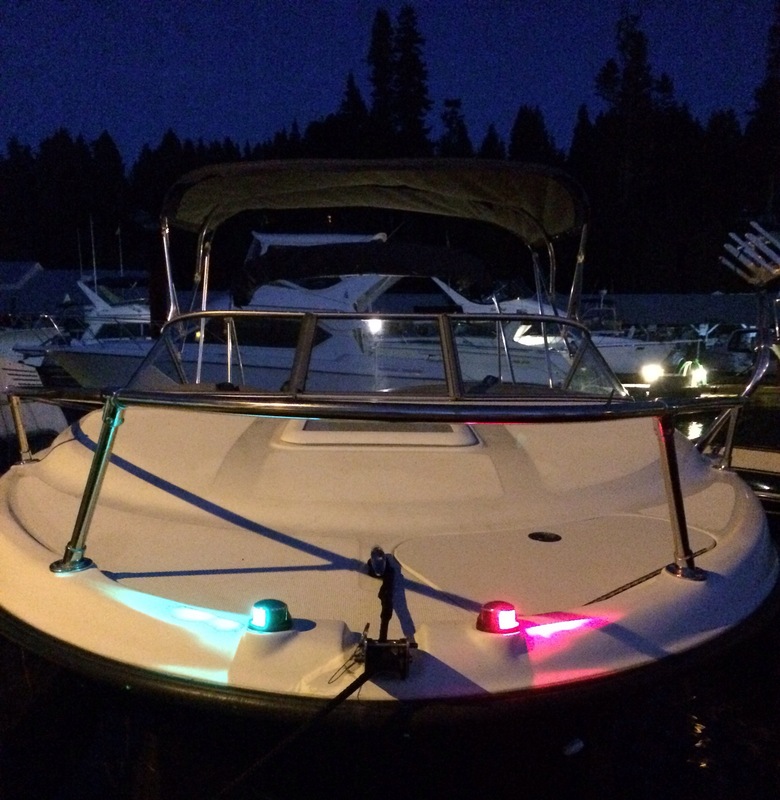 Last night we indulged ourselves to a full tour of the boats on the other dock. Ones we don’t see regularly. Oh my, there is a serious sum total of dollars floating over there. We comment on this one, we really like that one, and then start guessing how much they all cost. This is when you can start talking yourself into the next size category of boat in terms of need, rather than want. I know how this goes, that is how we are walking the marina, we’ve had five-foot-eitiss for as long as we’ve owned boats. But that is for another day. As the sun fully set last night and we headed for home, we were content. It was a lovely evening spent in an amazing part of the world. A bigger boat won’t make that any better.